I do not feel any particular problems with the use. It is made of reliable Daytona, and it is a rural area where bike supplies store is not in the neighborhood, so I was indebted to Mr. Monotaro. I think that it is a product without a mistake after buying it. This review is about item#36664415. It was a good product (individually) that the air cleaner so far became old and easy to set up purchasing settings. This review is about item#36664363. Rubber of the band part of the insertion opening cracked immediately. This review is about item#36664397. This review is about item#36664442. It is easier to set up than the power filter made in China, you can experience the performance rise throughout the whole area. 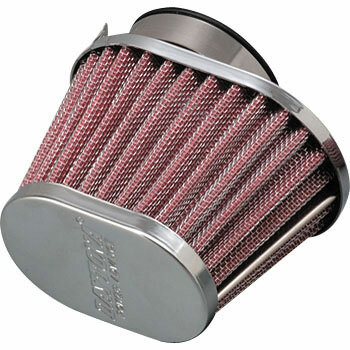 Every car body got soaked overnight at camping, but the engine was hitting safely, and as soon as traveling for 20 minutes the filter dried. It is recommended because it is cheap to replace it with a new one. This review is about item#36664372. I bought it as a trade-mark because it was a manufacturer, but rubber cracked in a week after I installed it even though it was not started even once. It is the worst unchanged from that made in China.